Containing a set of three massage balls, each of a different hardness, our 3 Piece Massage Ball Set is equipped for relieving different levels of tension as well as ensuring relaxation. Use each hardness level (red being the hardest and yellow the softest) for different areas of the body as a form of acupressure, accessing trigger points to alleviate the body of any discomfort. 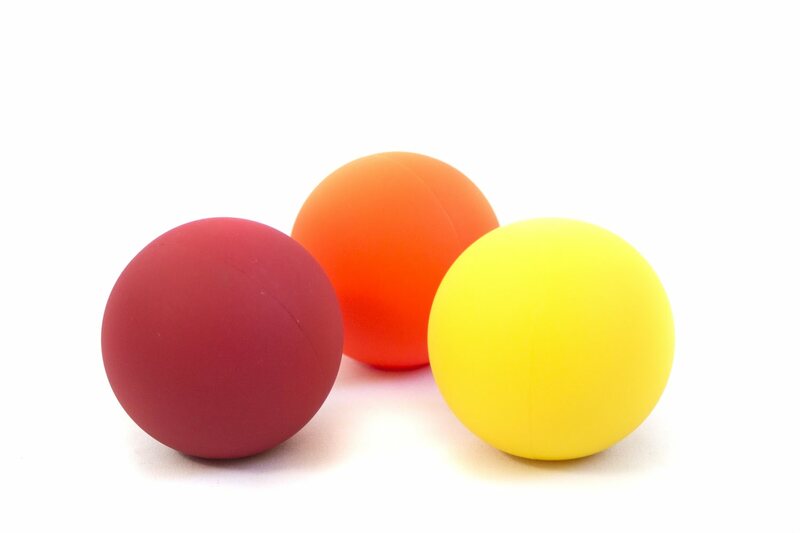 Made of a phthalate-free PVC material, our rubber-like massage balls are great to use for long distance trips and for those who spend a large amount of time in a seated position.